Just below the third vertebrae in the neck (C3) is the nerve that controls the diaphragm. Since my injury is at C2/3, I don’t have the luxury of controlling my breathing. Therefore, shortly after I was injured, a tracheotomy tube was placed and I was connected to a ventilator (vent) for breathing. For the next quarter century, I used the PLV-100, made by Respironics. This was a quiet vent compared to other options at the time and was very dependable. I used one on the back of my chair and another with a humidifier in bed. With the vent attached to an external car battery, I could be out for 12 hours or more without a problem. Changing batteries if needed was a challenge, but that required good chair design. Unfortunately, this model of vent is no longer in production and has been replaced by other options. However, it is still the most reliable, and least noisy, of any system I have seen. They are noisier, but I now have two Trilogy vents by Respironics, but they mainly gather dust. In February 2008, I was part of a research panel by Synapse Biomedical about their Diaphragmatic Pacemaker System (DPS). It had recently been given FDA approval for persons with SCI and the company was looking to include more individuals as DPS users. 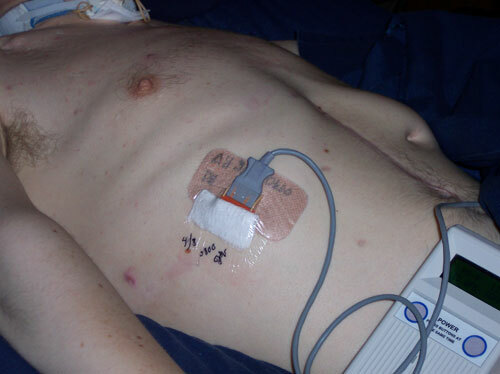 The system works by having four wires implanted in the diaphragm, with a fifth grounding wire elsewhere, that then exit the body and connect to a control unit. It has a small patch on the side of the chest that the external equipment connects to. 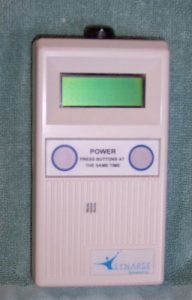 The control unit, or pacer, then gives an electrical pulse through the wires making the diaphragm contract and allowing for more natural breathing. After working with my insurance company for over a year to for approval, I received my implant in November 2010. No facilities in Iowa did the procedure, so mine was done at Northwestern Memorial Hospital in Chicago. It was not a well-known, or commonly used, device, so I was only the seventh successful implant at the hospital. Breathing through my nose again for the first time in over 25 years was a different experience. My sense of smell was very sensitive and picked up any odor. It took a while to get my diaphragm used to working again, but I was going all day, about 16 hours, by late May 2011. After some funding delays, I was completely off the vent by late 2013 and now just have them for backup. It is a great feeling to not have tubes when using the DPS (pacing). It is also generally good to be able to use my smell and further experience the world around me. For me, the biggest drawback with the new system is speech quality. On the vent, with a passy-muir valve, I could talk non-stop without having to wait for a breath. This system, due to using “normal” breathing, requires a stop every time I take a breath. Another issue is that I don’t have a local support system for supplies or maintenance. For the most part, the change has been good, but anyone looking to switch to a DPS system must carefully examine his or her lifestyle and what impact it would have. 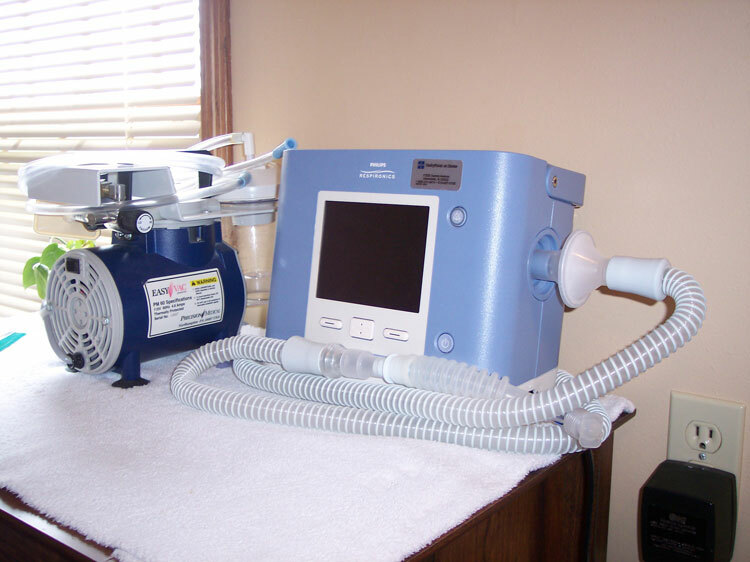 When I started with the DPS, I used a decannulation valve to close off my trach and breathe through my nose and mouth. Five years after getting the system, and two years off the vent, I replaced the trach with a trach button. It is a simple plug that allows for suctioning and keeping the stoma open, but is made as a plug and keeps itself in with no straps. After 30 years with trach ties, it took a while to get used to not having them. I do generally like it now and enjoy having a free neck again. In order to keep my lungs clear, I use a suction machine to help bring out extra junk. I need it more often when I have a cold or trouble with allergies, but it’s usually just a couple times a day. Unlike what is commonly taught for new SCI, I always use sterile technique when suctioning. This has greatly reduced my lung infections or other related problems. Some people I know with an injury level like mine get pneumonia a few times per year. I have been fortunate to only have it three times in my life. Therefore, I strongly urge anyone with these needs reading this to use sterile instead of clean technique. Supplies may be more expensive, but it is worth it for your health in the long run. For further questions, please feel free to contact me.